What do you immediately think of as you read those four words? More than likely, you would throw out some of the more famous explorer's names and where their expeditions took place. Some of you might tell me about their goals such as claiming land for the monarch who financed the expedition and how in the case of some bringing Christianity to the natives was in most cases a guise to seize lands and riches. You most certainly wouldn't be wrong, but as many expeditions to the New World continued more people arrived who weren't just fortune hunters, soldiers and religious men wanting to save souls. Sometimes the monarchs themselves would order certain people to go along, and in the case of explorers Jean Ribault an Rene Laudonnere, the French monarch ordered an artist to go along and capture not riches or natives but capture images of the things he saw in the New World. The artist was Jacques Le Moyne de Morgues who lived between 1533 and 1588. Le Moyne went along on Ribault's expedition in 1566 to what we would consider to be north Florida near the St. John River. Ribault hoped to establish a colony near present day Jacksonville, and he ended up building Fort Caroline. Le Moyne not only served as an artist but was very useful as a cartographer. The expedition erected a stone marker near the mouth of the St. John River which happened to be a standard French marker used in the New World. It was a hexagonal column of white stone engraved with the royal standard. Eventually, Le Moyne writes that the Timuca, a Native American tribe in the area, began to venerate the marker as if it was an idol. Eventually, relations with the natives soured, some members of the expedition grew weary of the leaders and led mini revolts, and rival expeditions from other nations caused problems. 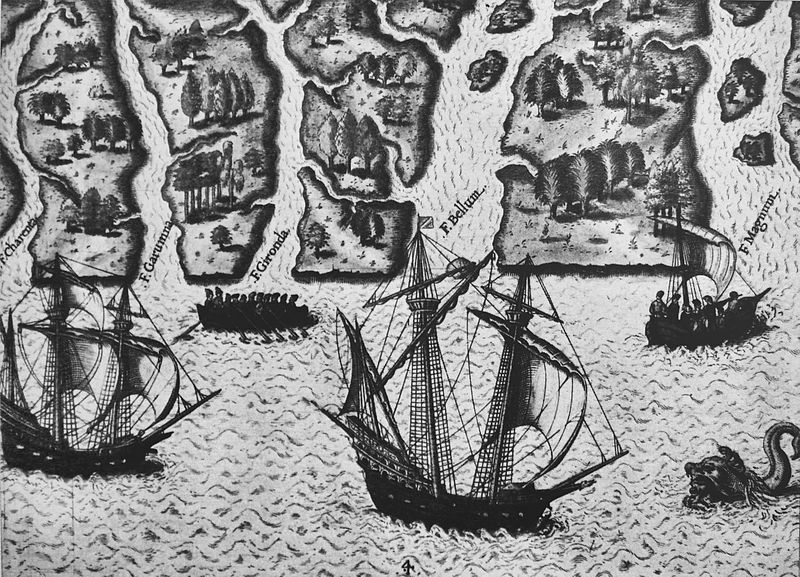 In 1565, a group of Spaniards led by Pedro Menendez de Aviles attacked the men at Fort Caroline. Le Moyne made his escape with a few others, but only one of his drawings survived. What we do have are engravings which are recreations based on Le Moyne's memory. They are important because they happen to be the earliest images from the New World. Engravings of his work exist today as only one of his New World drawings was saved. I've posted one of the engravings at the beginning of this post. Le Moyne also penned an account of the voyage titled Brevis Narration Eorum Quae in Florida Americai Provincial Gallis Acciderunt in 1591. Le Moyne never returned to the New World. 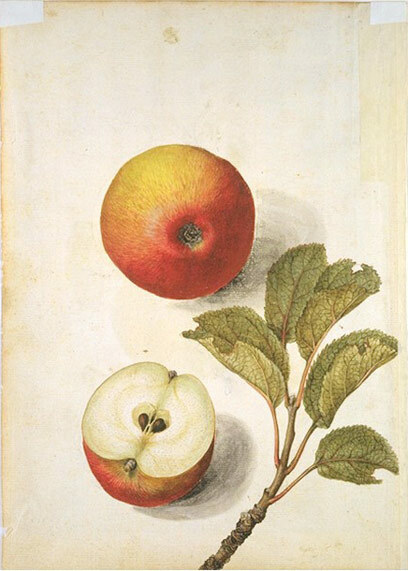 He devoted the last years of his life creating botanical art. You can see more engravings based on Le Moyne's drawings here. Another great source you could explore is The New World.